Dumas, Texas - Dumas Independent School District is taking steps to better prepare it's classrooms in the event of an emergency. Emergency buckets will be going into every Dumas ISD classroom this year to prepare for emergencies such as tornadoes, or other disasters. 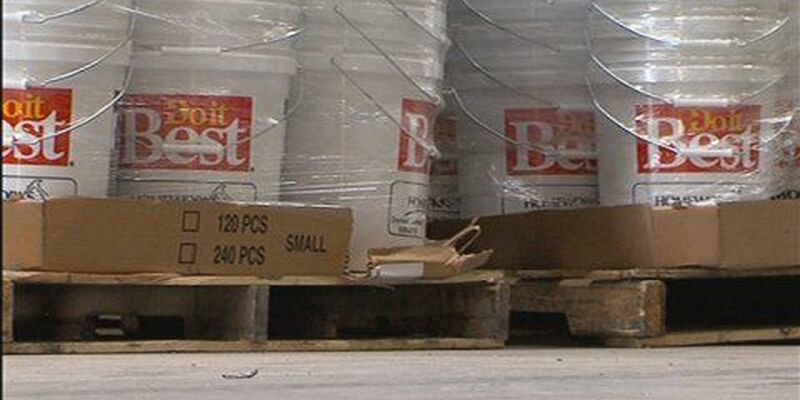 The buckets will provide storage for items that aren't readily available in classrooms are used in emergency events. Each classroom will have items such as a blanket, flash light and bottled water. The idea was proposed to Dumas school administrators by a teacher. "One of our teachers within the district thought we plan and do things to prevent things from happening, but what happens if something was to happen and a building was struck by a tornado, and they're stuck in that room for hours and hours, or another type of emergency. They thought well what could we do in that situation," Mark Strobel, Dumas ISD Superintendent said. Strobel adds this is a way they are being proactive in keeping children safer. The buckets for the classrooms have all been donated by Dumas Lumber Company.